Comment: Siding has been loosened as a result of high winds. Concern of possible water from rain entering the home has us wanting to make this repair ASAP. Comment: New windows installed before we bought the house (4+ years ago) appear to not have been flashed correctly and is causing issues with the window trim. It looks like we need the vinyl removed and and the flashing/window surrounds repaired. Comment: Replace some plywood and facia on porch overhang. Comment: During the storm that occurred last week a piece of the white exterior trim came off off the top of my house. Comment: I would like to get an estimate for Piece of vinyl trim is falling off house and needs to be replaced. Chesapeake Siding Contractors are rated 4.76 out of 5 based on 1,201 reviews of 25 pros. 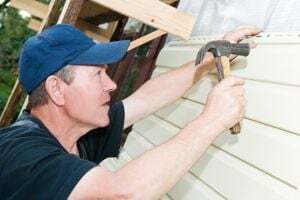 Not Looking for Siding Contractors in Chesapeake, VA?